‘Tis the season to be jolly. Amongst shopping for presents, prepping your Christmas day menu, writing cards and exchanging gifts, it’s nice to have a Christmas meal with friends, work collegues or family that you won’t necessarily see on Christmas day. 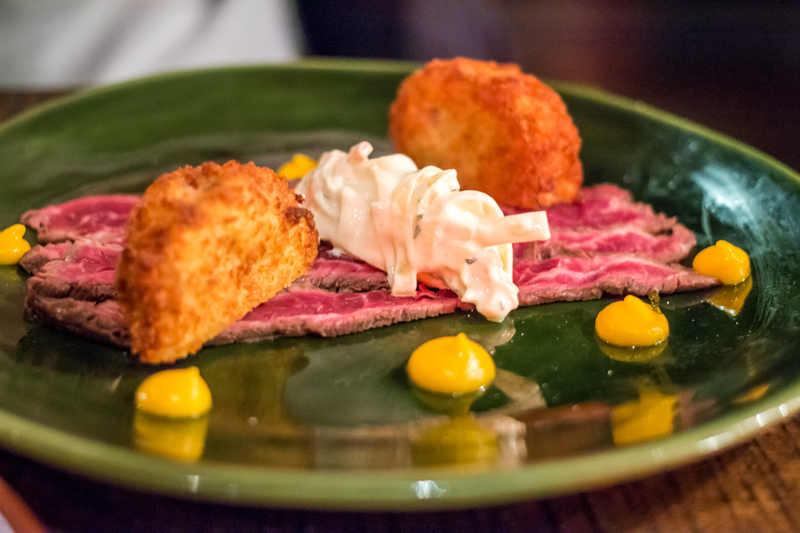 We were kindly invited to sample the Christmas Grazing Menu at No. 5 Bridge Street in Winchester. 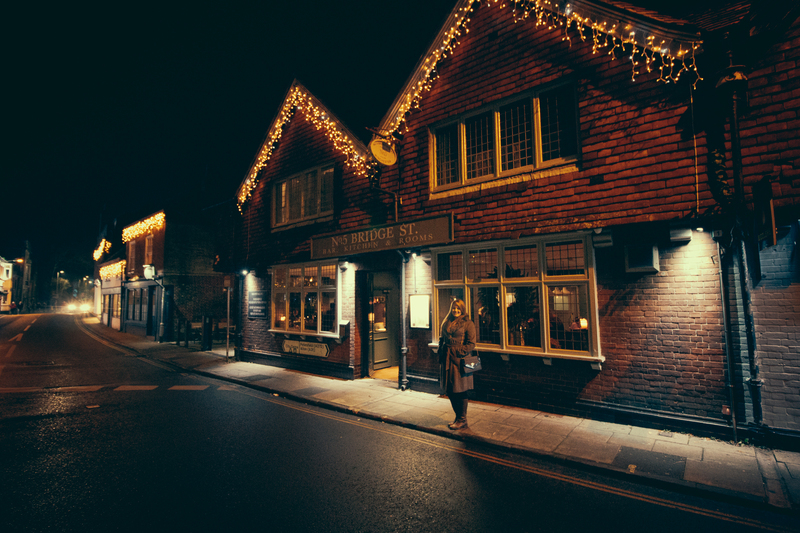 The perfect location after a spot of shopping on the High St, or at the Winchester Christmas markets, No. 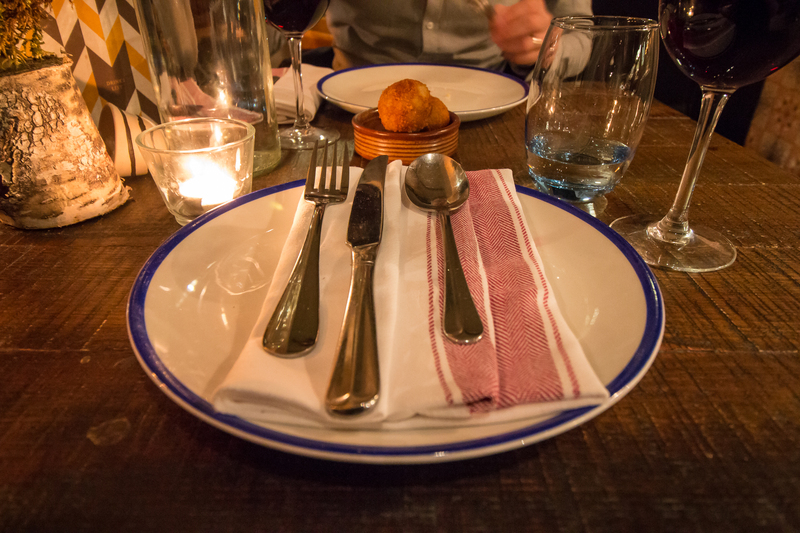 5 Bridge Street is one of our favourite restaurants. Part of the Ideal Collection, No. 5 Bridge Street is a renowned restaurant, in the heart of Winchester, full of character and charm. Our visit to Bridge Street was on a Friday evening when the restaurant and bar was bustling with life. The warm and welcoming addition of Christmas decorations gave a somewhat homely feel and as the night went on, live music rung around the rooms. Wreaths in the windows, glowy lights and a Christmas tree. Gold and copper sprayed leaves, mixed berries and candlelight. Sadly we weren’t able to get many photographs of the decorations as there were a lot of people around, and being in the evening, it was quite dark inside (which is part of the ambience and charm that No. 5 Bridge Street holds). However, that’s now something you can look forward to yourself, when you pay Bridge Street a visit. The Christmas menu at No. 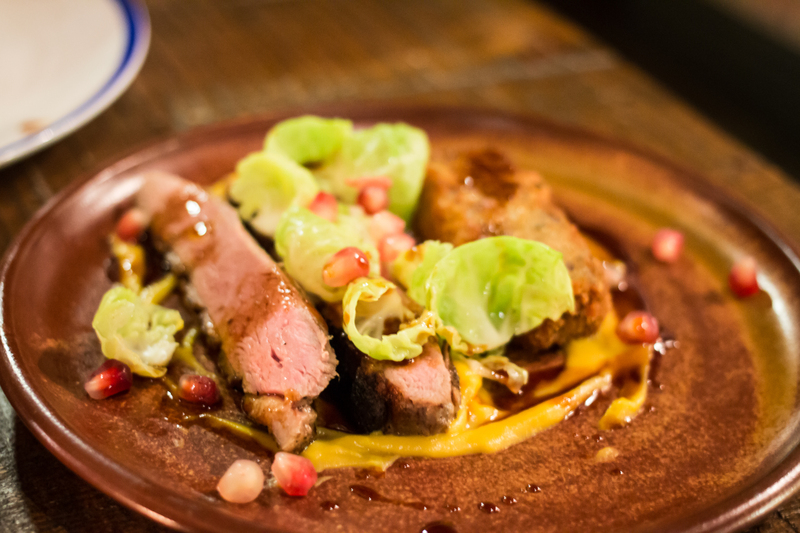 5 Bridge Street offers two different routes; the traditional 3 course Christmas dinner, or the Christmas grazing menu, which is what we tried. 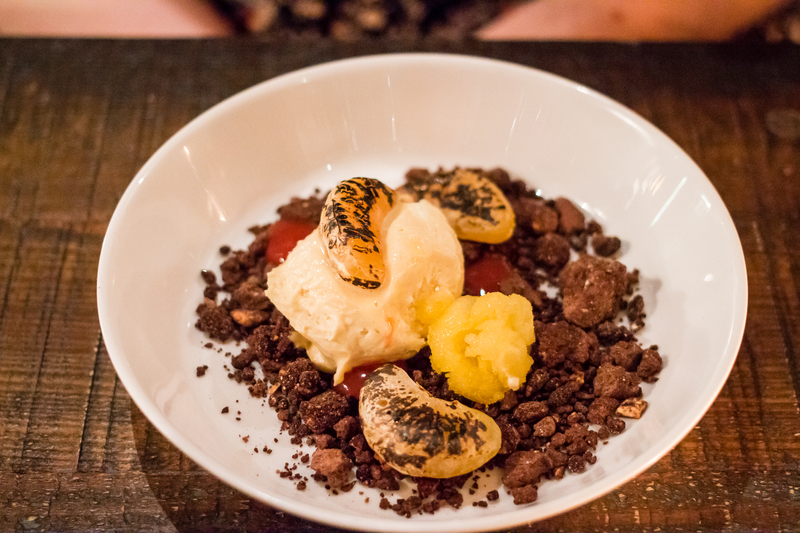 After an excellent dining experience in the restaurant earlier in the year, we had high expectations of what the food would be like, and we weren’t disappointed. The dishes are perfectly thought out based on flavour combinations, centred around key ingredients, which are sourced locally. Chefs look for both high-quality produce, but also invest in the local economy – as well as thinking about the environment by gathering ingredients from nearby. After some nibbles to start off the meal, we selected our mains from the grazing list, which Pete and I shared between us so that we could try all of the flavours for ourselves. The food came beautifully presented showing a range of colours, textures and height off the plate. As the different dishes came out, our table was filled with colour and fragrant aromas of the different mains. 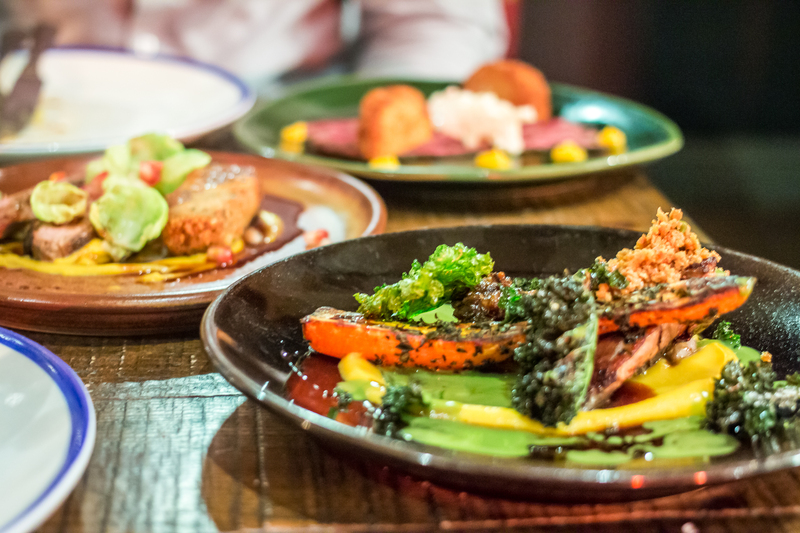 We tried a selection of 5 of the grazing plates including pheasant breast, braised lamb, gin-cured salmon, carpaccio of beef and seared duck dishes, all accompanied by fine sauces and purees, vegetables, garnishes and delicate details. The seared duck breast and carpaccio of beef skirt were definite favourites. A good meal isn’t fully complete until you’ve had a pudding! 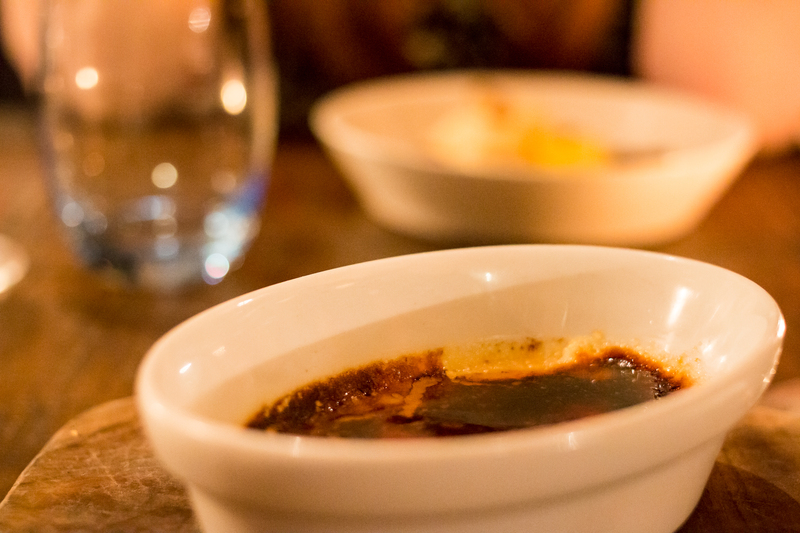 Pete opted for the smooth and silky Baileys creme brulee, whilst I had the sweet white chocolate mousse with contrasting dark chocolate soil and tangerine, which was delicious! 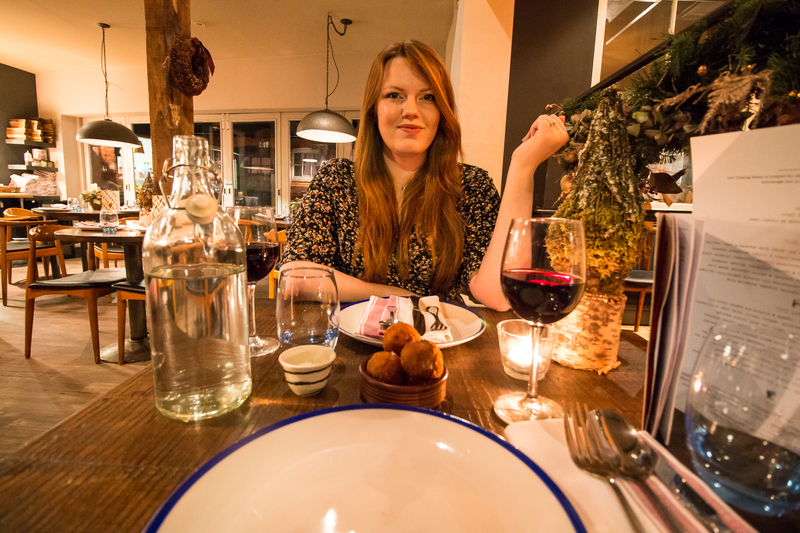 We thoroughly enjoyed our Christmas meal at No. 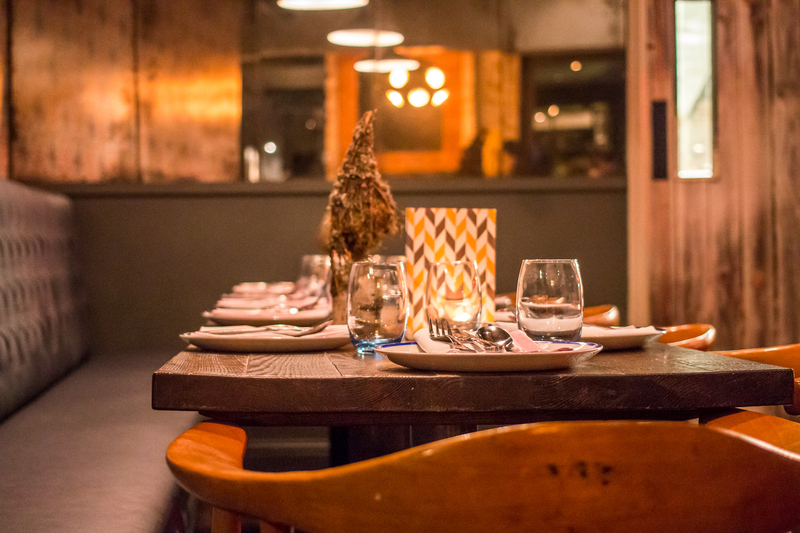 5 Bridge Street and would definitely recommend it as a place to book for your Christmas outing with work or friends. Stick around after for a cocktail at the bar or to enjoy some wine and live music by the fire! This post was written in collaboration with No. 5 Bridge Street. All opinions are my own.